Pharrell and Scott Vener finished off their Othertone mix on the season two premiere of OVO Sound Radio with quite the surprise. The N.E.R.D. 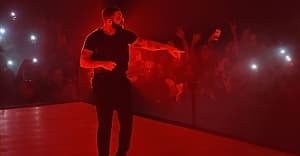 front man hinted at a new song at the beginning of his set and delivered the promise as the mix was capped off with the exclusive premiere of the "Lemon" remix featuring a brand new verse from Drake. Drake popped out right away, dishing out a cheeky verse before Rihanna took things over as usual. Check out OVO Sound Radio episode 58 here.